In Literacy we have been looking at non-chronological reports. We discussed the features of this genre, including headings & sub-headings, diagrams, captions, bullet points, contents pages and glossaries. We then looked for these features in a range of non-fiction texts. 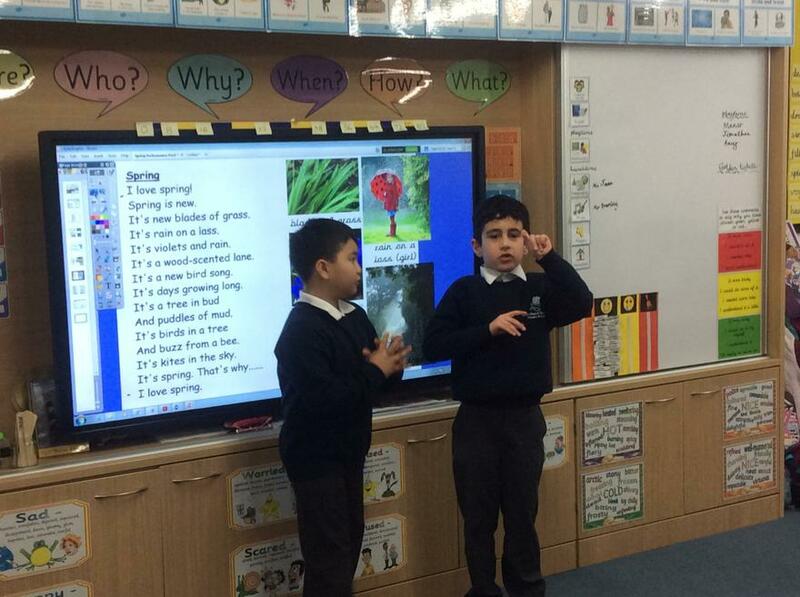 We rehearsed and performed Spring-themed poems for this term's performance poetry unit. 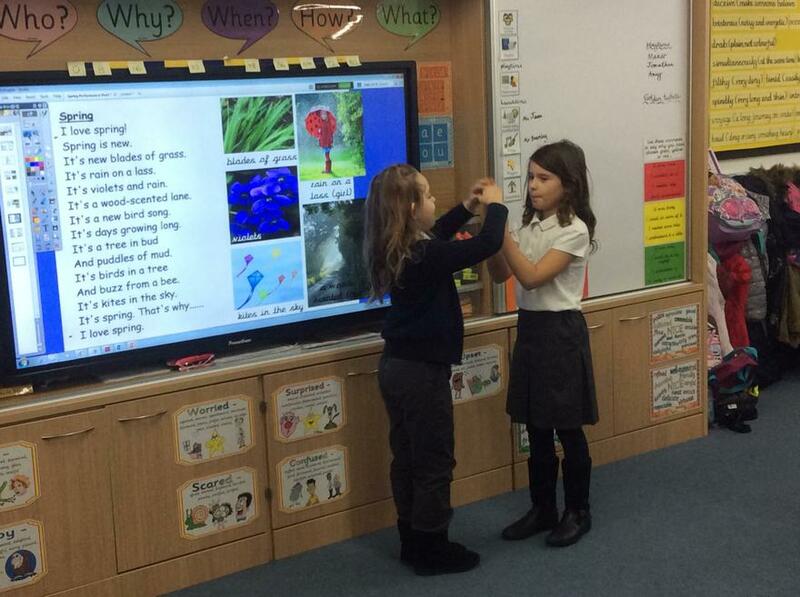 We learned our poem, devised actions and practised speaking with clarity and volume. We also thought about our use of intonation and expression to make watching the performances an enjoyable experience for the audience. We are very proud of our work. 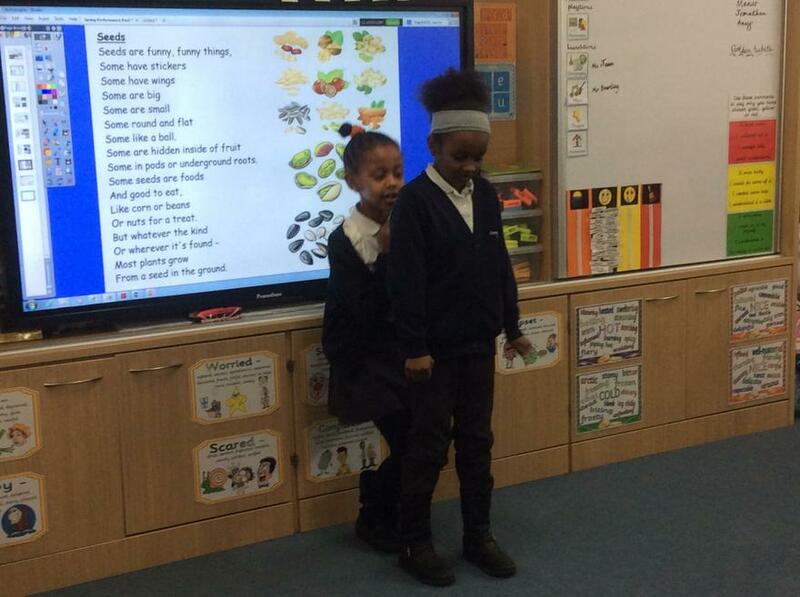 For the whole school poetry week, we listened to and performed poems about the Stone Age, our current History topic. 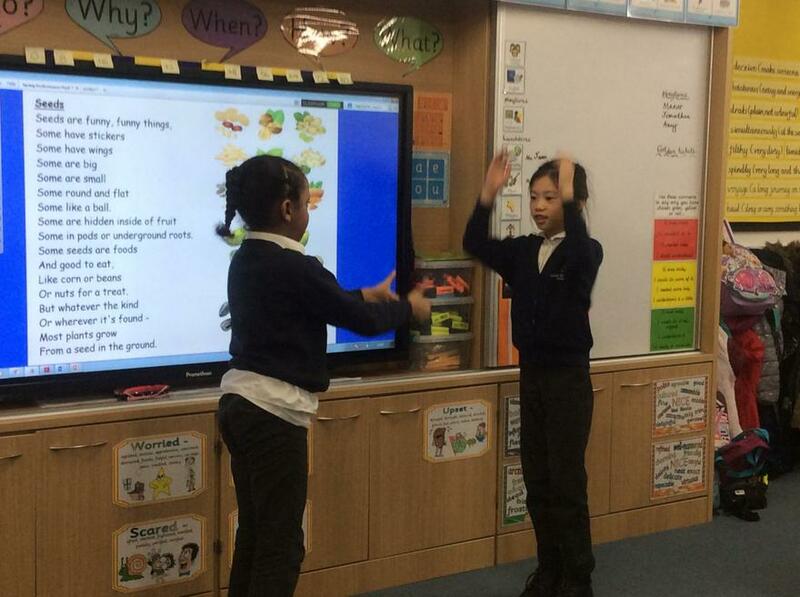 We performed poems both in pairs and as a whole class. We needed to consider our use of actions, intonation and expression to convey the meaning of the poem.